Well, I know there have been plenty of discussions here lately about digital audio for the Classical Music fan. What a nightmare it can be trying to sort through a vast Classical collection like so many of us have in the digtal format with so many problems with tagging and organization. I just came across something pretty novel. The price is pretty steep, but if money were no object to me.. I'd jump right in. Check it out. Here is a review on Stereophile of the player and service. Interesting. I might buy this system for my boat and plane but at my homes I'll stick with walls of CDs. Music servers are the future of recorded music - like it or not. It's nice to see that a company is thinking about the needs of classical music listeners. This appears to be an elegant solution as engineers put it. Prices will drop over time. I'll be a hold out until they are cheaper and perhaps better. I may be more interested in a server as a way of backing up my CD collection than as my main listening source. I'd hate to lose some of them and not be able to replace them. Another pretty outrageous system is the offering from Kaleidescape, although it isn't specifically tailored for the Classical music listener. It also serves up DVDs too. Doesn't look like you'll be seeing these crazy options at Wal Mart anytime soon though, HA. The fact that they expect you to pay a monthly fee to rip CDs and have the number of them you can rip monthly be limited to a certain amount is utterly ridiculous. Also ridiculous that you're required to mail in your CD to them if the system doesn't recognize it rather than inputting the information yourself. Ralph wrote: Interesting. I might buy this system for my boat and plane but at my homes I'll stick with walls of CDs. Are you on Claus von Bulow's payroll now? Harvested Sorrow wrote: The fact that they expect you to pay a monthly fee to rip CDs and have the number of them you can rip monthly be limited to a certain amount is utterly ridiculous. Also ridiculous that you're required to mail in your CD to them if the system doesn't recognize it rather than inputting the information yourself. I agree. I thought that was a little bit crazy too. Eventually, if one wanted to keep up with new releases of your favourite artists and new repertoire, you had to bite the bullet. I bit, and I've never been sorry except for the $$$ one spends to keep going. A true collector of great music never really stops, if they are honest with everyone including themselves. I've had my McIntosh amp/preamp for well over 20 years now - only had it to the shop once (recently) and I'm as happy as the proverbial pig-in-dirt. I do upgrade CD players, tape players, etc. I'm in to digital recording as well. Dang! Just posted a news item on this, not having looked here first - sorry, guys! Hmm ... future of digital music being all virtual? Yes, probably. But until they've sorted out the very basics and got them right (gapless playback of formats, anyone?) and committed to releasing only lossless (as in waveform) downloads, you can count me out. I wasted several hundred pounds and three years of my life exploring the MP3 revolution, and I found it wanting. Thank the Lord for CDs! shadowritten wrote: Dang! Just posted a news item on this, not having looked here first - sorry, guys! Haydnseek wrote: Music servers are the future of recorded music - like it or not. It's nice to see that a company is thinking about the needs of classical music listeners. This appears to be an elegant solution as engineers put it. Prices will drop over time. I'll be a hold out until they are cheaper and perhaps better. I may be more interested in a server as a way of backing up my CD collection than as my main listening source. I'd hate to lose some of them and not be able to replace them. I agree that it's a good idea. But did anyone else browse the collection? It appears to be all Naxos. That may be fine for some lesser composers, but I don't want to be forced to turn to those recordings for my meat and potato favorites, like the Beethoven, Brahms and Bruckner symphonies. I didn't browse it, but Naxos probably has all the meat and potatoes of even the major composers. The only problem is - the orchestras will not be the Boston Symphony, New York Philharmonic, or any of the other major orchestras (though they do have a few minor-major orchestras in the catalogue). If it's Bruckner, I want Knappertsbusch or Furtwängler usually - with top conductors/orchestras in Beethoven and Brahms. Isn't it great to have such a CHOICE among recordings!?! No, and I think he WAS guilty of attempted murder. It certainly is but don't sell short the Bruckner/Tintner cycle and the emerging Brahms/Alsop releases, both showing what NAXOS can do with major works. It's not that I'm saying those cycles are bad, Ralph. Lance and I just have our longtime favorites and we wouldn't want to give them up. I honestly can't see turning to Alsop in Brahms over Furtwangler, Walter, Jochum or Giulini or a regular basis. And the idea of the system is that you won't need your CDs any longer. That won't work for me unless a system comes out with a much more comprehensive data base. Shoot. If you're spending THAT much on the system, you should be able to have a say in what recordings go in it. The New Groves. Forget the music and the technoglitz. Gimme th' books. Did you notice this about the pre-loaded library? "Earlier examples of the symphonic form are included for historic context; Johann Christian Bach, Boyce, Dittersdorf, Kraus, Mehul, Pleyel, and Johann Stamitz are all well represented." I'd buy The Breakers or Marble House. I'd scramble off across the pond and pick up a Hamburg Steinway, a Grotrian and a Bosendorfer Imperial (in that order). Then I would have levees and soirees with all the Right People. I'd invite up-n-comers from all the music schools (imported at my expense, of course). Obviously, some of the Right People would include representatives from Columbia Artists Management, etc. etc. Auntie Lynn wrote: I'd buy The Breakers or Marble House. 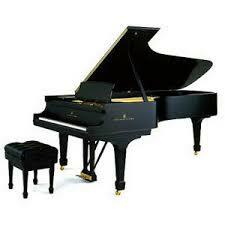 I'd scramble off across the pond and pick up a Hamburg Steinway, a Grotrian and a Bosendorfer Imperial (in that order). Then I would have levees and soirees with all the Right People. I'd invite up-n-comers from all the music schools (imported at my expense, of course). Obviously, some of the Right People would include representatives from Columbia Artists Management, etc. etc. Your ideas remind me very much of what Isabella Gardner Stewart did at her home in Boston, now an incredible museum. The "up-n-comers" were invited regularly, along with Boston Symphony concerts [!] at her mansion. Many of those "up-n-comers" went on to have truly glorious musical careers. Two excellent books describe those times: Art of Scandal: The Life and Times of Isabella Stewart Gardner by Douglas Shand-Tucci, and Mrs. Jack: A Biography of Isabella Stewart Gardner by Louise Hall Tharp. I couldn't put either of those books down once I started reading and especially since I have been there many times. An Aston Martin DB9 .